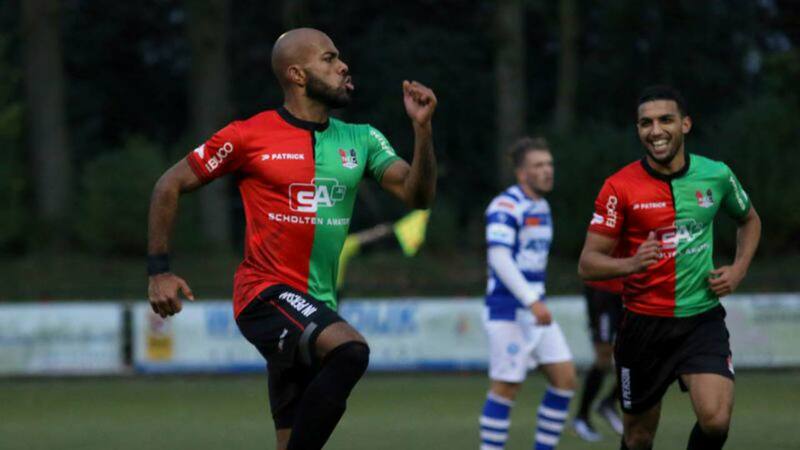 A Nigeria born footballer, Randy Onuoha, who is currently playing for Neftochimic Burgas in The Netherlands has declared his readiness to fight for a shirt in the Super Eagles. Onuoha said it would be of great honour for to play for his fatherland having refused his mother request to play her country, The Netherlands. Randy has a Nigeria father, Charles Emeka Onuoha from Itukpa, Aba state, and to Netherlands mother, Annelies van Es, from Rotterdam, Netherlands. He was born on 1 April 1994 (age 23) in Lelystad, Netherlands. He is 1.80 m (5ft 11 inches) tall, and operates from Left full back for his club. He had his youth career from 2009–2013 in Almere City, while his senior career started in 2013 till date Randy Onuoha said that with his active performance, he is ready to prove his worth to all Nigerians. “Nigeria is my country which I look forward to playing for any moment from now. My mum has been troubling me to play for the Netherlands, but I said no, because I will definitely return to Nigeria at the end of my career,” he said.